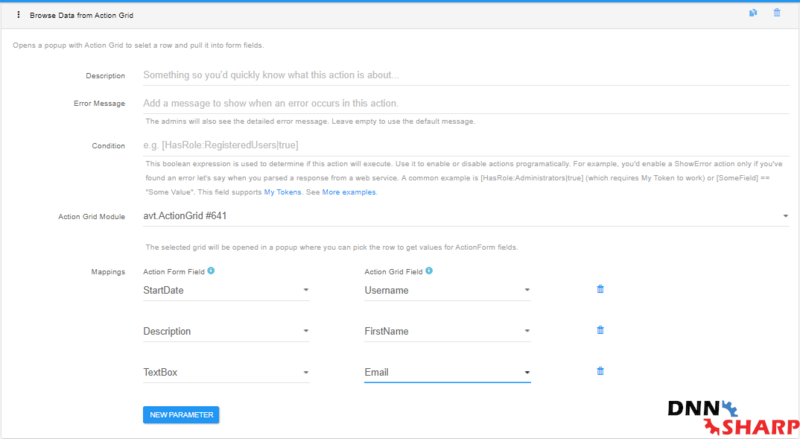 This action will allow you to open an Action Grid module in popup and retrieve data from it to populate Action Form fields. Action Grid Module . The selected grid will be opened in a popup where you can pick the row to get values for Action Form fields. Mappings . Link Grid columns to Form fields: this will determine which Grid data will go to which Form field.